Khao Soi Samer Jai ข้าวซอยเสมอใจ is the place to go to for those who looking for the delicious noodle soup called ‘Khao soi’. 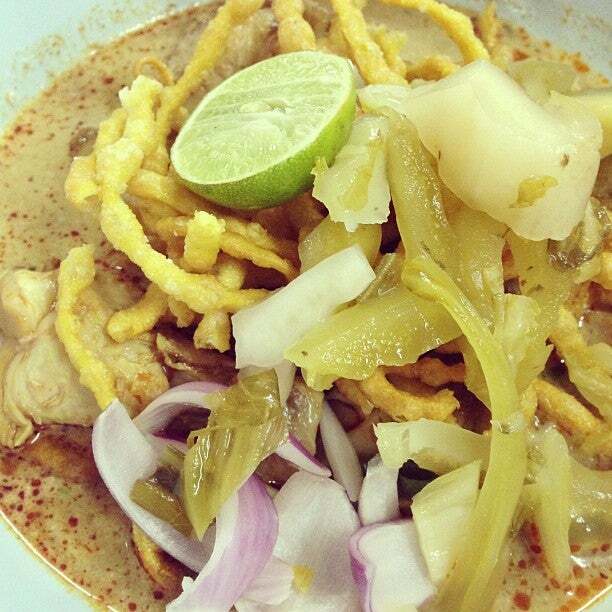 Why Khao Soi Samer Jai is special ? 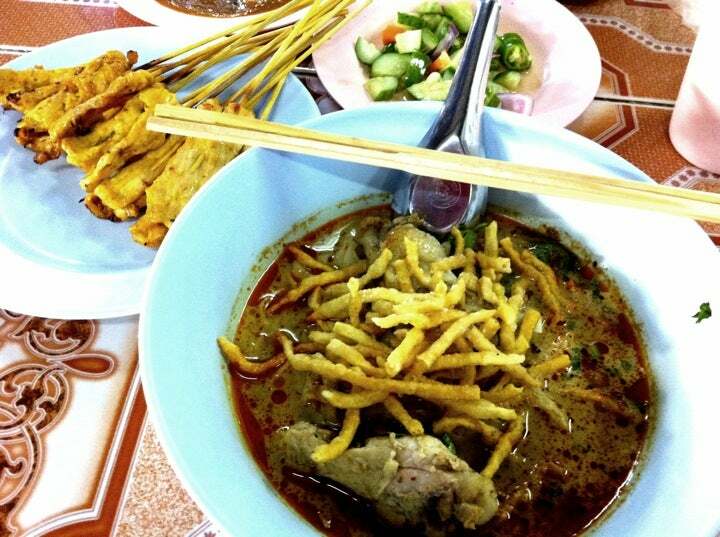 How to get to Khao Soi Samer Jai? 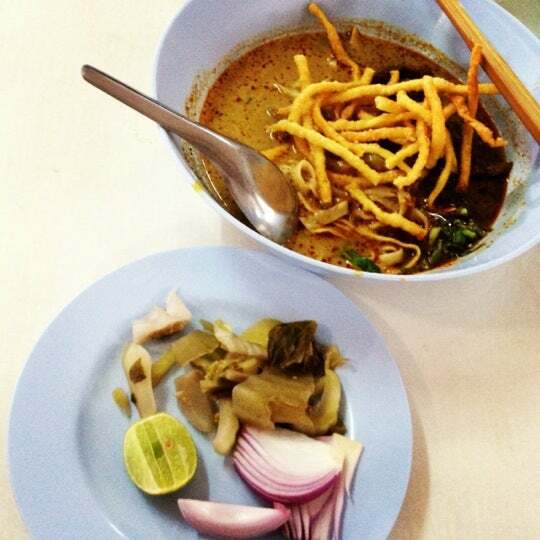 Khao Soi Samer Jai is located next to Fhaham temple. Taxi is the best way to get there. They serve the Khao soi in different flavours with beef, chicken or pork for 40 Baht. 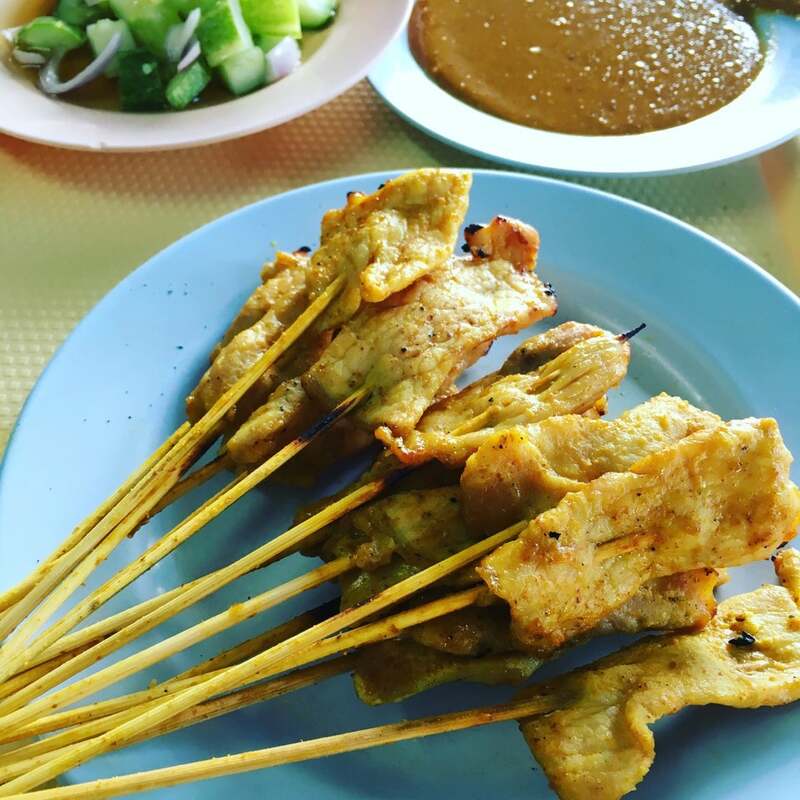 Also get some satay sticks with yummy peanut sauce and some cucumber made with lot’s of garlic! You won’t regret it. They are really happy to serve foreigners. Just make your order by pointing at the dishes on the tables next to you and you will be fine. 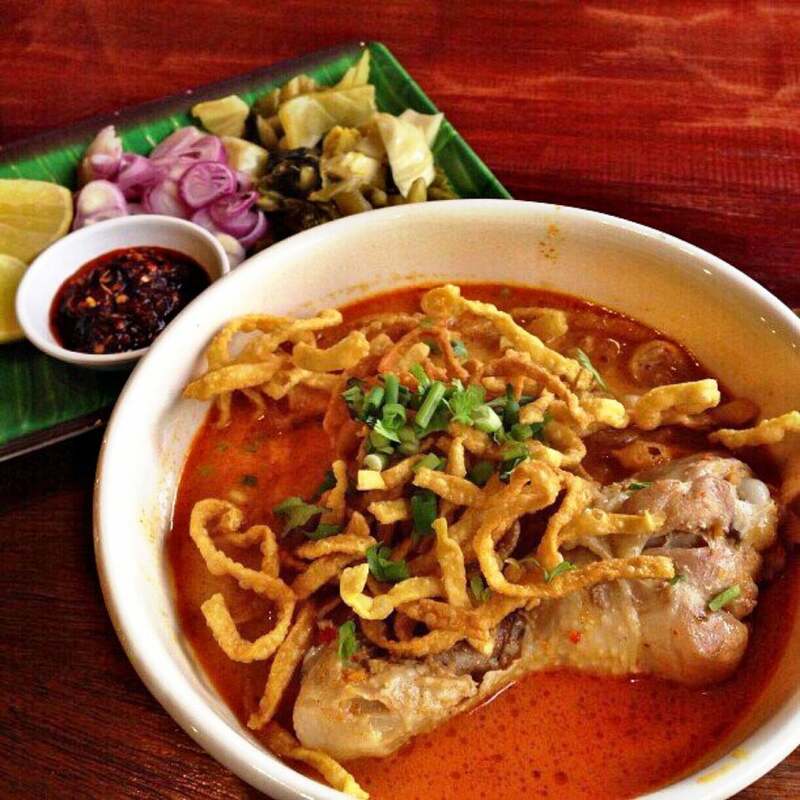 Of the 3 famous Khao Soi speciality restaurants in Chiang Mai, I like Samer Jai best. The curry is thick, intense and not-too-spicy. The portion is bigger than the other two and price is 40bt. The fried noodle is also thicker and rounder than the others. You can combine your trip here with a trip to Khao Soi Lam Duan - Fa Ham, which is around 150 meters away. Service is way better than the neighboring Khao Soi place. The broth is a bit watered down and not enough go to with every bite. Plenty of space to accommodate big groups of people.